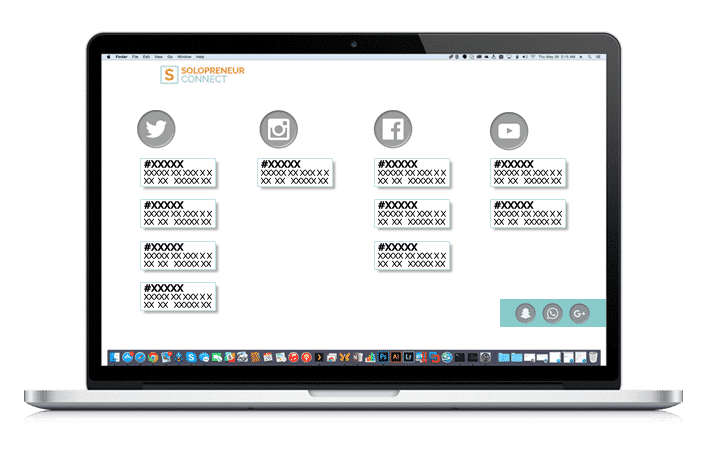 Solopreneur Connect is an all-in-one social media management platform. All the features you need in one, concise package. Saving you time and making you more effective with your social media efforts. sophisticated analytics, custom reporting and more. 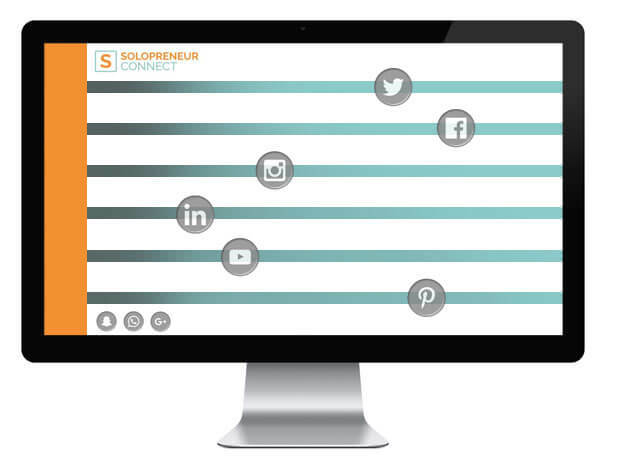 With Solopreneur Connect you can track the performance of everything from your Facebook pages and Twitter profiles, to business reviews, website site performance and blogs. The data from your social channels is downloaded and laid out on a simple and intuitive dashboard (very similar to Google Analytics). Data collection is effortless – you just need to connect your social profiles. You can quickly and easily organize your data by customers or business. You can track your own social profiles as well as profiles of others (great for competitor analysis). Access all of your social data in one place. Quickly and easily engage with your audience. Solopreneur Connect dashboard is full of useful reports covering every aspect of your social profiles. Enable notifications and receive detailed daily and weekly reports. Download and export all available data and reporting any time. from reports and publishing to social keyword searching and engagement. No need to log into every social network account you own. 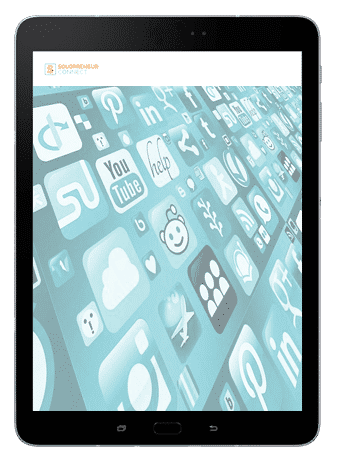 Social media managers will enjoy ability to securely manage client credentials and produce customized reports. 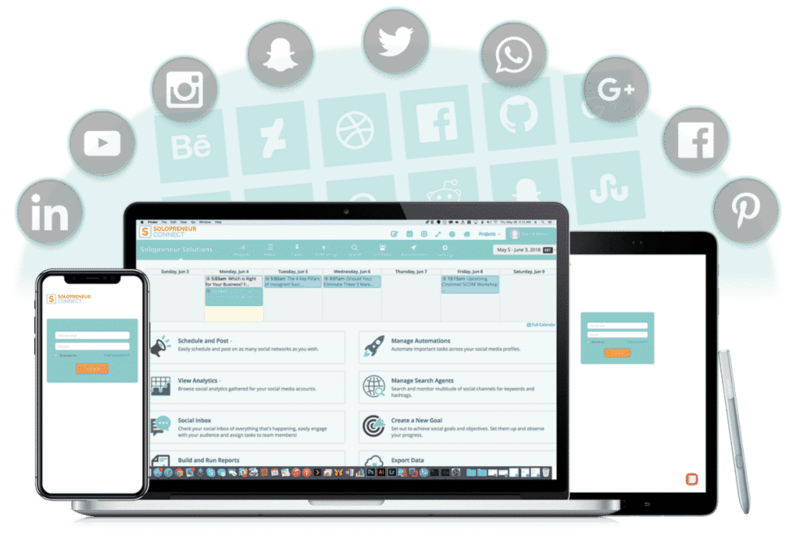 Easily schedule and post on as many social networks as you wish. Solopreneur Connect is by far the easiest and the most feature rich way to publish on social media. Go beyond simply updating your profiles. Get in-depth reports on how well your posts perform and more. 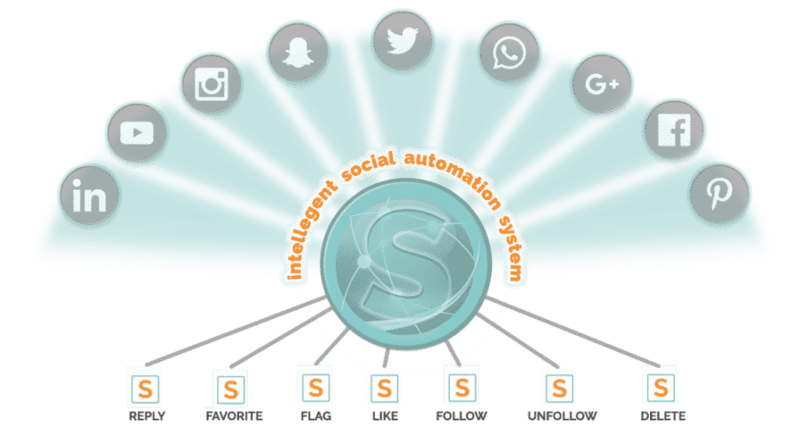 Social Automations offer a simple way to automate important tasks across your social media profiles. How often have you left a comment on your facebook page unattended or not engaged with someone who mentioned your retweeted your status? By enabling automations the system will automatically do these tasks for you. – no matter the size of your team. Simplify your social media engagement strategy–find and join conversations, efficiently manage workflow and more. Smart Inbox is built around two ideas. First, visibility into your message volume and activity enables you to more effectively and efficiently communicate with your customers. 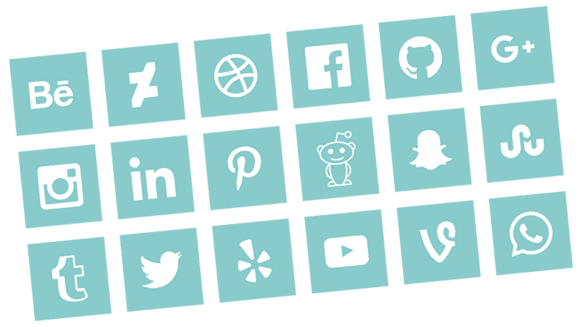 Second, you need tools that enable you to not only be more effective and organized today, but that are flexible enough to support your social strategy as it evolves. Take the important metrics and information from your dashboard and export it however you wish. 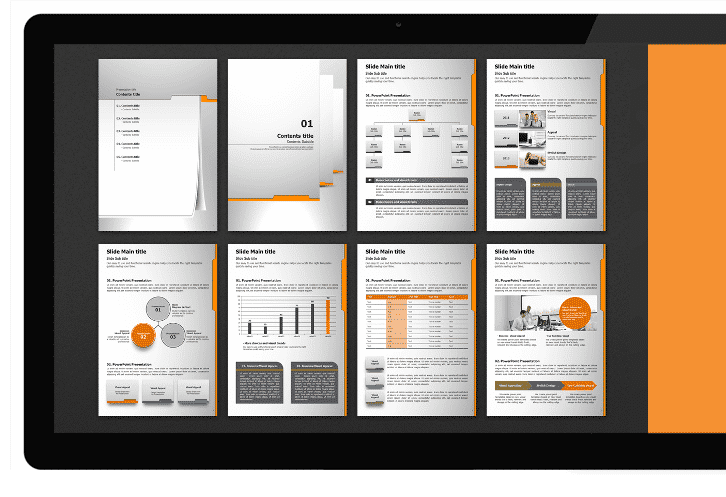 Use standard reports, create custom reports and automate delivery..